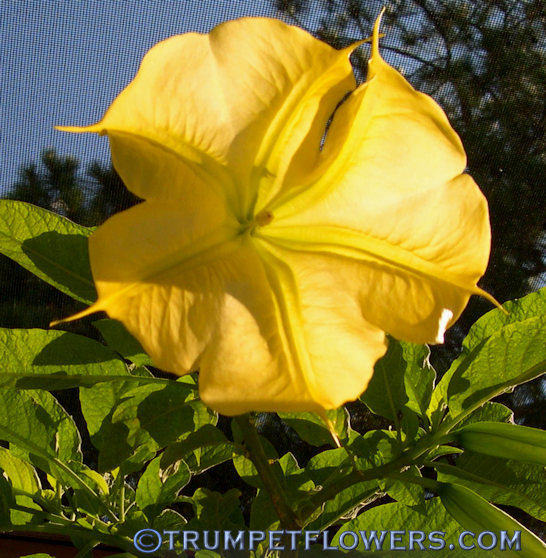 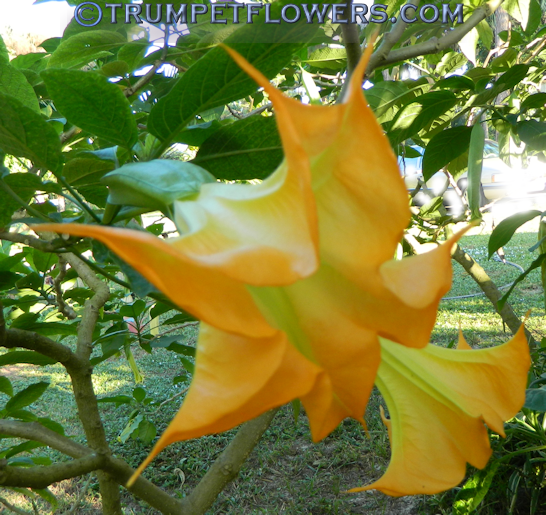 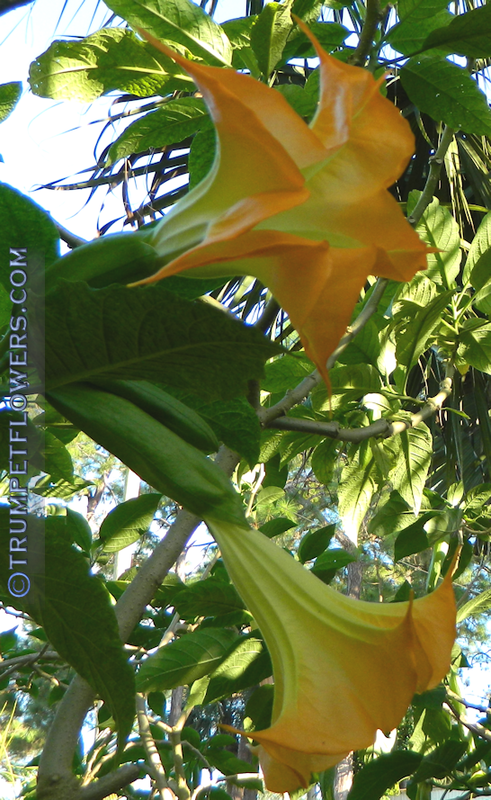 Dalai Lama brugmansia has large and open blooms, with fat stamens loaded with pollen. 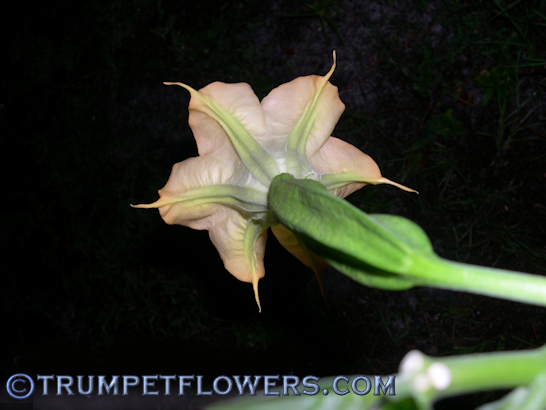 This is a 6-toothed flower, something I find a lot on Dalai Lama, due to his mother, Jacayna, who is always a 6 pointer. 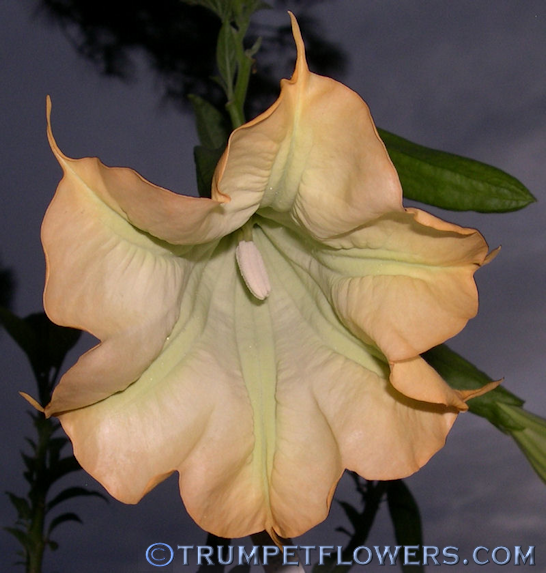 Angels trumpet Dalai Lama is the creation of Liz Fichtl, a cross between Jacayna X The Chief. 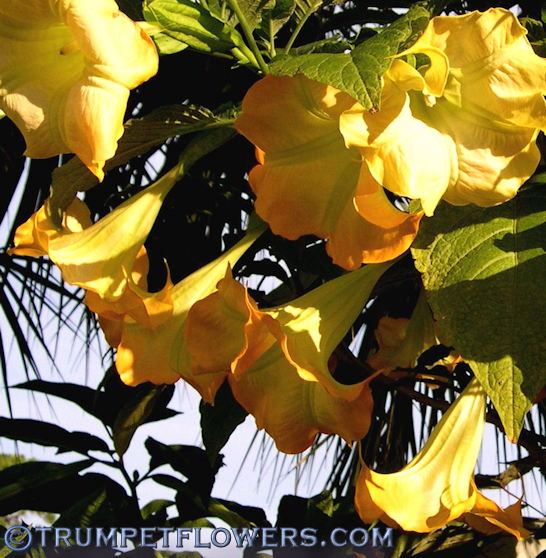 These flowers are as large as a dinner plate. 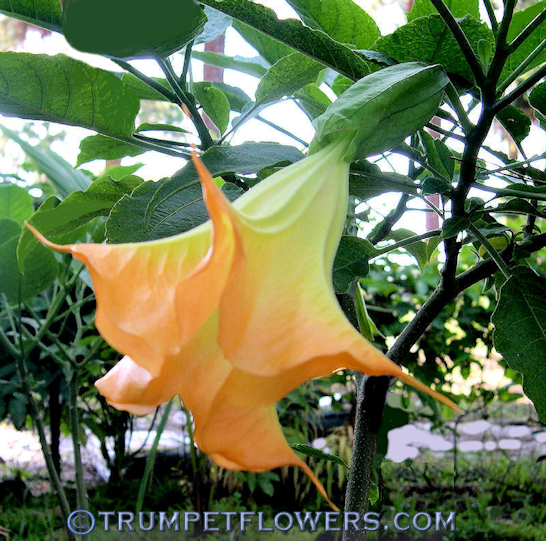 Brugmansia Dalai Lama blooms year round in subtropical and tropical climates. 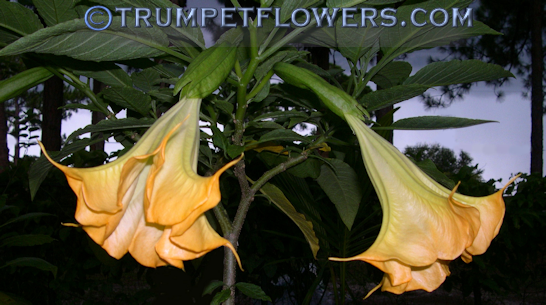 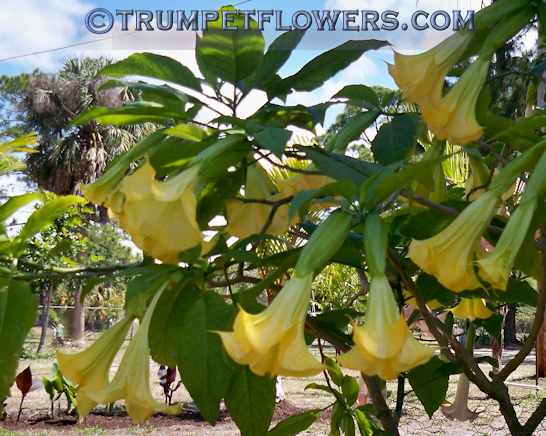 Angel Trumpet Dalai Lama is a medium sized brugmansia, reaching heights of 6 to 8 feet in 1 to 2 years. 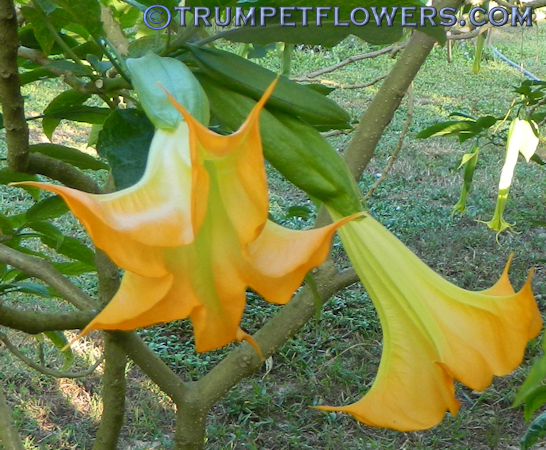 Brugmansia Dalai Lama is a must have for any true collector. 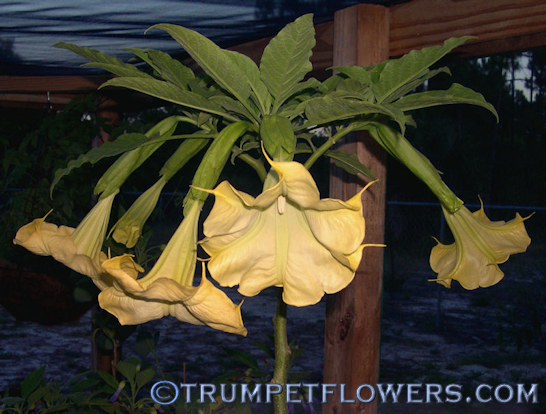 The breeding background with The Chief, plus the pollen rich stamens give it immense hybridizing appeal. 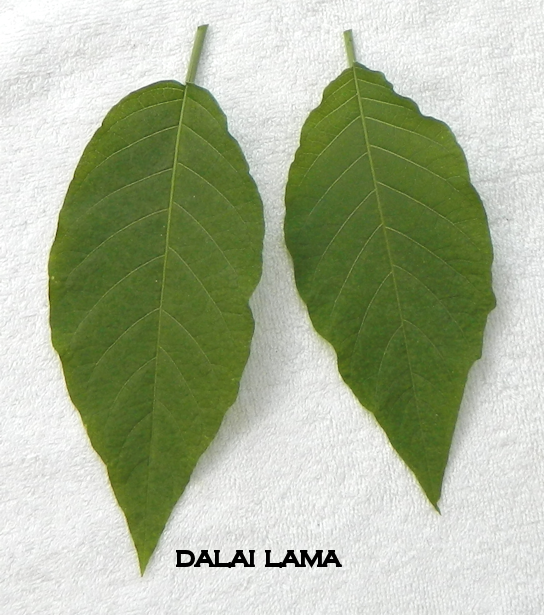 The leaf of Dalai Lama has a mild tooth to the edge, is smooth, and has a slight leathery feel to the touch. 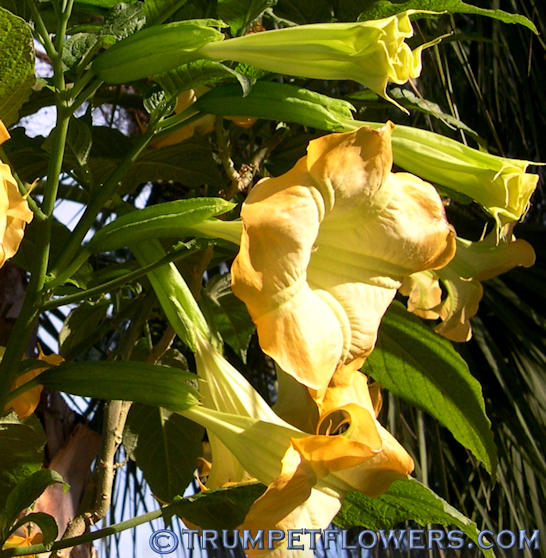 You can order Dalai Lama Here. 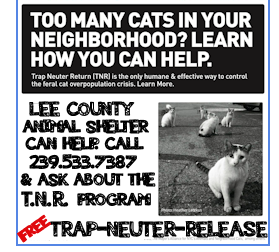 Residents of the states of Alabama, California, Louisiana, Texas and Oregon read this first: Your States Agricultural Protocols.